Reading aloud to a trained reading dog is a great way for children to practice their reading skills in a comfortable, non-judgmental environment. 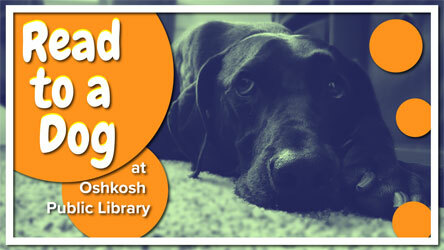 Come to the library early to select a book and have fun reading to your new friend. Registration is required for this popular program. Call 920-236-5208 or stop by the Children's Desk.